On 23 October 1983 hundreds were killed in co-ordinated suicide attacks on the headquarters of American and French troops stationed in Beirut during the Lebanese civil war. 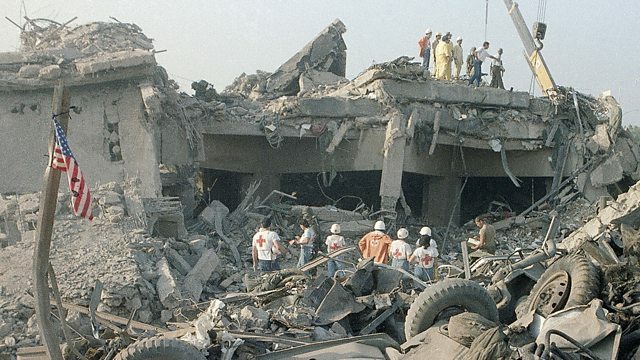 On 23 October 1983, hundreds were killed in co-ordinated suicide attacks on the headquarters of American and French troops stationed in Lebanon. The troops were part of a multi-national force deployed to help end the Lebanese civil war. Hear the story of Randy Gaddo, a US marine who witnessed the devastating attack on the US Marine barracks.